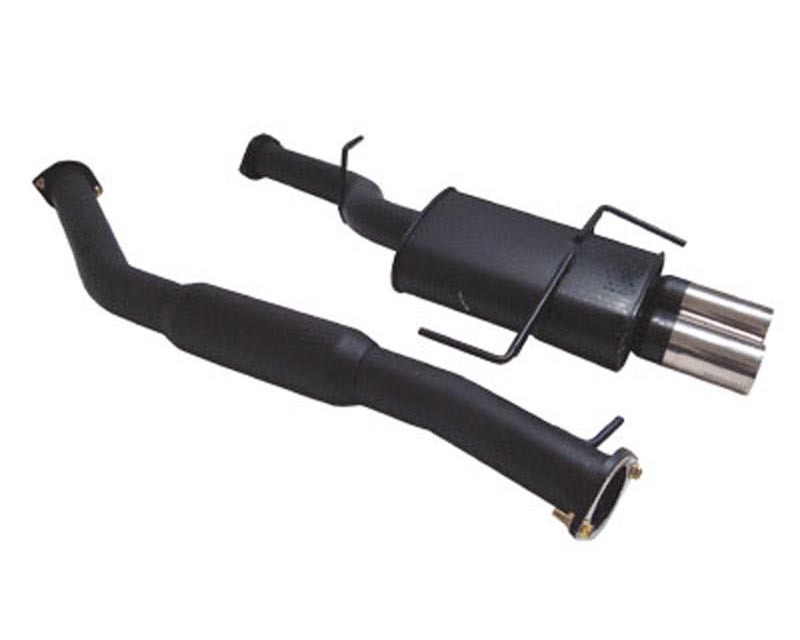 Megan Racing Catback Systems complete your exhaust from the catalytic converter out. Made of 100% T-304 Stainless Steel for long-lasting durability, these systems feature smooth bends and a straight-through design for superior performance; while the built-in resonator and dual-chamber silencer offer a mellow yet aggressive tone for the street. To finish off your ride just right, the polished finish and clean welds offer the perfect show-quality you desire. With law enforcement becoming ever more strict with modifying your vehicle with performance parts, the need for more discreet performance parts have increased to keep a low profile. Megan Racing has developed a line of Catback exhausts systems to meet the needs of today's Low-Profile enthusiasts without sacrificing performance. These exhaust systems are based around our Type-2 and OE-RS exhaust systems and feature more subtle exhaust tips that are polished to keep the visual aspect of your exhaust up to standard while having the rest of the system, the muffler and piping, coated in a thick flat black coating. This flat back coating also acts as an Anti-Corrosion layer that will enhance the durability of your exhaust while also trapping heat and noise within the piping to increase performance and reduce interior resonance. The tone of these exhausts is much more mellow while still retaining a mellow yet aggressive tone at Wide-Open throttle.